Wat Mahathat (pronounced Wat Ma-har-rarrt), also known as the Monastery of the Great Relic, is a temple ruin located in central Ayutthaya, Thailand. The temple is believed to have been built around the 14th century and was once residence to the Supreme Patriarch leader of the Thai Buddhist monks. 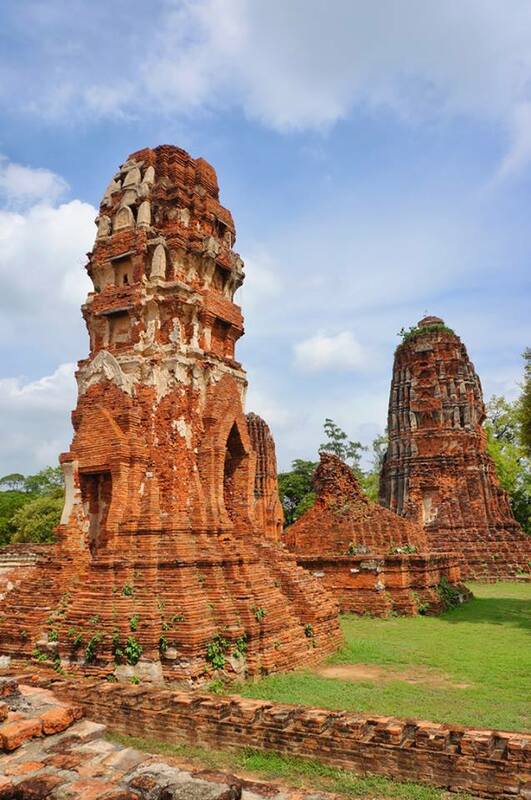 Today it sits in the Ayutthaya Historical Park along with several of temples, and was declared a UNESCO World Heritage site in 1991. Wat Mahathat first fell into ruin in the early 16th century when the main prang was said to have collapsed. 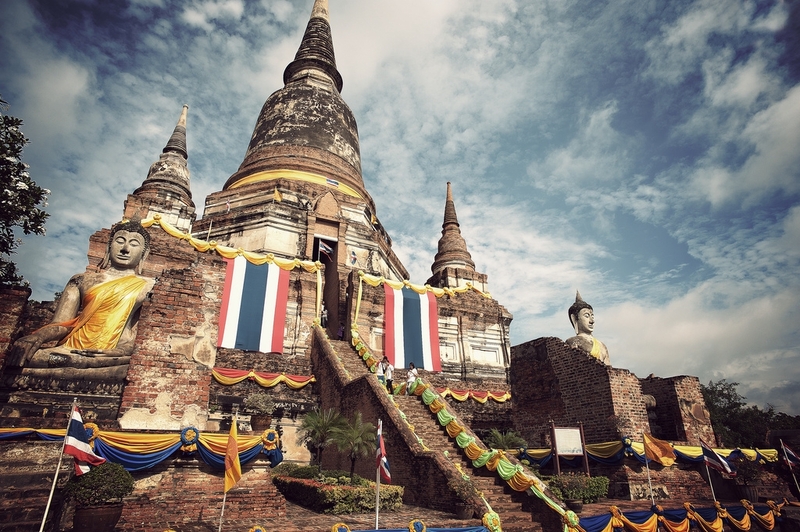 Ayutthaya is a very popular destination for tourists and Thais alike, located just one hour’s drive (80km) from Bangkok, hence making it a perfect day trip from the capital. 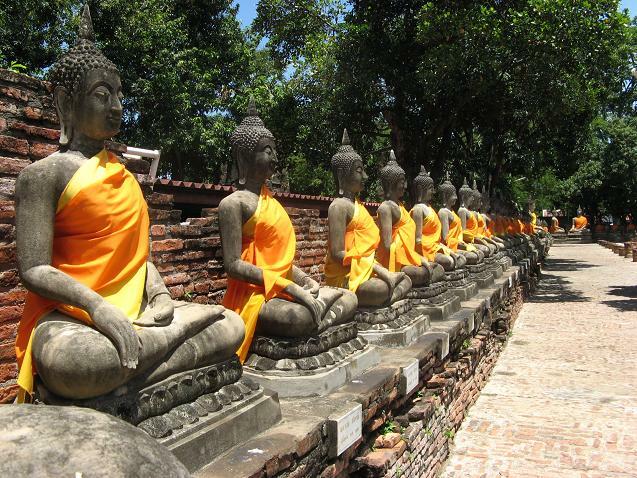 After taking over from Sukhothai as the pre-eminent kingdom, Ayutthaya was the second capital of Siam, for about 400 years, from about 1350. After nearly 200 years of tension and several failed attempts by the Burmese army to invade the kingdom, the Ayutthaya dynasty eventually came to an end in 1767, defeated in an invasion led by King Hsinbyushin of Burma.